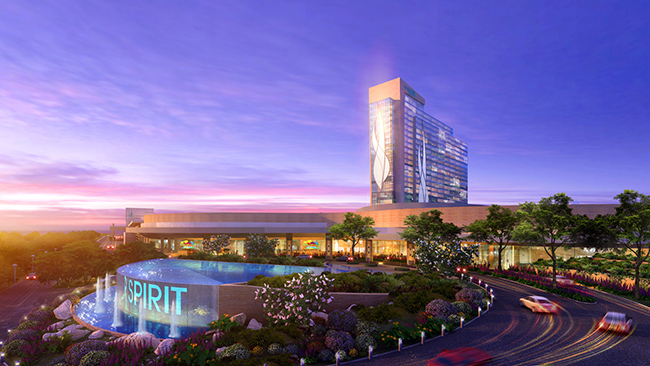 The River Spirit Casino + Hotel is currently in the construction phase. Stone Ally is supplying stone for 483 guest rooms. The casino + hotel will also feature 45,000 square feet of casino space, 2,500 square feet of entertainment venues, and a 35,000 square foot convention center that seats 1,000. The project is owned by Muscogee Creek Nation of Okmulgee, Oklahoma and represented by PMg Native who leads the design and construction teams. The design team selected Persa Avoria for the guestroom counters, tub decks, shower surrounds, and furniture tops. The stone is from an Italian exclusive supplier and is very expensive. The owners loved the material, but did not love the price. The job was already behind schedule and an alternative stone needed to be selected immediately to avoid construction delays. Stone Ally reached out to one of our factories in China for possible solutions. We needed a product that was readily available and had the same design aesthetic. We found Delicatus White granite, which is quarried in Brazil and fabricated in China. 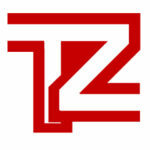 It provided our client with a savings of 40%. The Muscogee Creek Nation of Okmulgee, Oklahoma was so pleased with the model room that they instructed all subcontractors to purchase the Delicatus White granite from us. We are proud to have sourced and fabricated the job on time and under budget. We worked with an installation client on the Hard Rock Hotel, Biloxi, Mississippi rebuild after Hurricane Katrina. They referred Stone Ally for the work on River Spirit Casino. We take pride in our vendor relationships.